The track coincides with Jade’s C2C: Country to Country Festival performances on the Icon Stage at London’s O2 Arena. Stormchaser is the follow up to her previous single “Drive” (Nov 2018). It was recorded at The Banger Hanger with musicians Rob Gulston (Holloway Road) and BCMA musician of the year Luke Thomas. The fruits of a co-writing Nashville session it has a very contemporary edge, with dubstep leanings, finger snaps, vocal autotune sound effects whilst retaining country elements with banjo pickings. Chasing recent trends, the modern production rather tips a nod to recent commercial recordings from Maren Morris, Kelsea Ballerini and Kacey Musgraves but the somewhat mudded mix doesn’t always allow the listener to hear the lyrics clearly. With a measured dose of vocal aggression, this gritty number is inspired by the concept of being attracted to things you know are wrong. As the thunder rolls in on this stormy affair, where the female character is sent spinning, fatally drawn into a bad boy relationship the beefy electric guitar solo heightens the tension and madness. It’s a trainwreck waiting to happen! A juicy slab of modern country music, you decide? A little hello from me ahead of my single release on Friday and @C2Cfestival this weekend! Make sure you pre-order my single from @iTunes in time for the weekend, or add it to your @Spotify playlists! 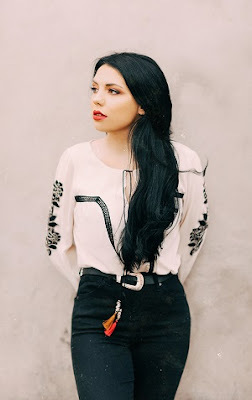 Having performed at festivals including Nashville Meets London, Country on the Clyde and Buckle and Boots, she released the stunning EP ‘INFATUATION’, which not only saw her receive critical acclaim but also nominated for numerous awards. Released on 21 May 2018 her self-released 5 track EP INFATUATION (Amazon UK- UK iTunes | Current Amazon Bestsellers Rank: #96,578 in Albums; #2820 in Digital Music Country). The EP debuted and peaked at #3 on UK iTunes Country Albums (#146 UK iTunes all-genres) quickly falling to #5 (#304 all-genres). The following day is was at #10 (#578 UK all-genres), then #21 (#942 all-genres) and by Weds May 23rd it had fallen off the top 200 UK iTunes Country Albums. The project was successfully crowd funded using the Pledge Music platform (90 pledgers raised 105% of unknown goal). Around 60 people had a fun night (Fri 18 May 2018) for the EP Launch (Hosted by UK Country Live) at Eagle Inn in Salford with guests Devon Mayson and Stevie O'Connor. Her best chart success came in May 2017 following an impromptu “Hallelujah” duet with busker Dawid Osial (BLOG) when the YouTube video went viral with over 16 million views. Her EP FORGET THE NIGHT (Amazon), originally released on Oct 24, 2016, climbed to #1 on the UK Country Album iTunes Chart and #8 on the overall UK iTunes chart. Her Facebook Page Likes increased by 856,000%!! She now has over 67,000 Facebook Followers one of the highest for a British country act. Having taken home awards for Best Female (BOX Awards) Best Solo (BOX Awards) Outstanding Songwriting (Yorkshire Roots Awards), Song of The Year for “Boom Tick” (British Country Music Awards (BCMA) and Female Vocalist of The Year (British Country Music Awards (BCMA See BLOG) for a second successive year, she fuelled her energy into a new single, Drive, to close out 2018. Described as “fantastic stuff” by Baylen Leonard (Chris Country), released on Nov 16, 2018 “Drive” (Jade Helliwell/ 116 Records | UK iTunes) debuted at #13 on UK Country iTunes. Although 2018 was a true runaway success for the Leeds songsmith, 2019 is already proving even stronger. Having been invited to join the Buckle and Boots tour of Australia during January (See Blog), she is now preparing for a summer full of festival appearances – with full details to be announced in due course. 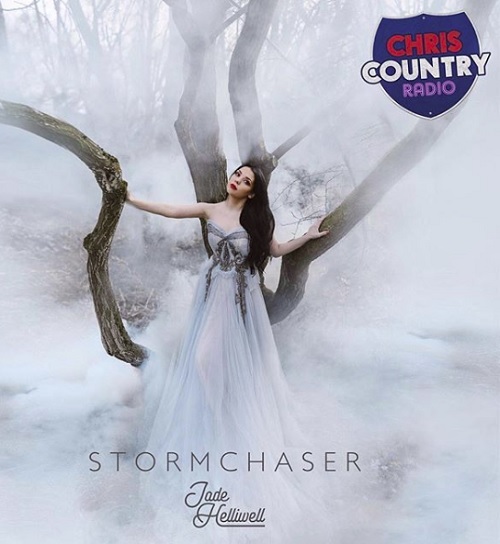 With one key festival appearance just around the corner, Jade was excited that Chris Country premiered her new single Stormchaser on the morning of 21st February and was added to the stations New Music playlist. Having co-written the Carrie Underwood-esque anthem alongside Luke Thomas, Jason Tucker and Daisy Davis during a trip to Nashville, Jade knew instantly that the song had to be her next single.